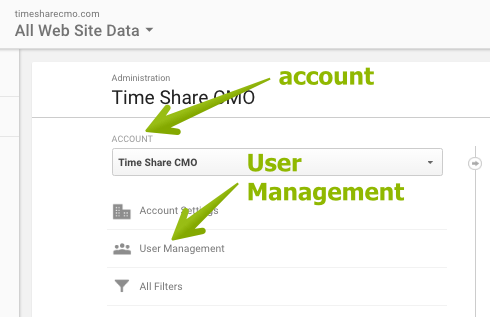 C. Add analytics@timesharecmo.com to your GA, and give us read and analyze permissions. Be sure to notify us by email! A In Search Console, Click the property you want to track, and then "add or remove users"
B. Click "Add A New User"
C. Add analytics @timesharecmo.com to your account with restricted permissions.